Ballads from Medieval England recount the adventures of Robin Hood, a legendary hero who robbed from the rich, the government, and the church, while helping the poor and the oppressed. With his band of Merry Men, he lived in Sherwood Forest, where they hid from the Sheriff of Nottingham. 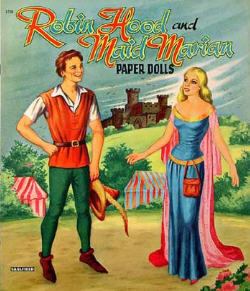 Maid Marian is presented differently in the many Robin Hood ballads and stories. In some she is portrayed as a Saxon girl who has known Robin Hood all her life, in others she is a Norman noblewoman, or the ward of the Sheriff of Nottingham who spies for Robin Hood. Sometimes she is a damsel in distress, and at others she is depicted as an able swordswoman, or the brains behind the Merry Men. 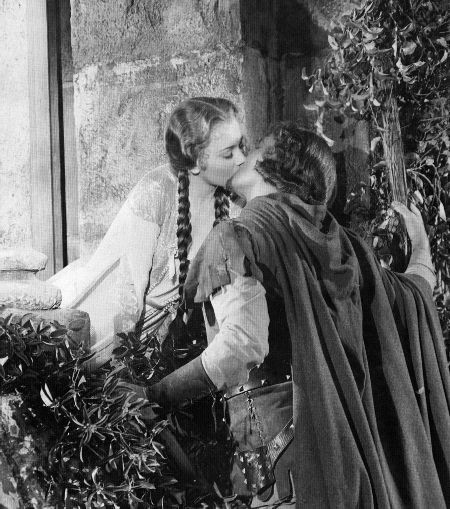 Yet, almost always, Maid Marian is Robin Hood's true love. According to local legend, they were married in St. Mary's church in Edwinstowe and remained together for the rest of their lives.